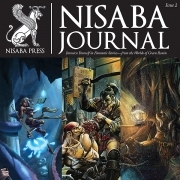 Nisaba Press draws the rich detail and excitement of collaborative storytelling from the world of roleplaying to create immersive fiction for all readers to enjoy. We believe everyone should see themselves reflected in our stories. By actively seeking out and amplifying the voices of under-represented writers: women, people of color, and LGBT+, we strive to be inclusive of all readers. 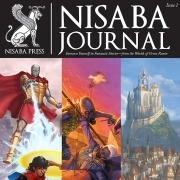 While currently focused on exploring the richly detailed worlds created by Green Ronin Publishing, Nisaba’s vision extends to a future filled with speculative fiction set in all manner of places, times, and genres. In a roleplaying game (RPG), you and a group of friends take on the roles of fictional characters that embark on adventures in a world of your imagination. In “Requiem, In Bells,” by Ari Marmell, a corpse collector in the last city of Redoubt uncovers a grisly mystery, and strives to discover why the dead are disappearing. 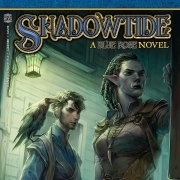 This short story is an excerpt from Tales of the Lost Citadel, the fiction anthology set in the same world as The Lost Citadel RPG. “New Girls,” by Crystal Frasier. 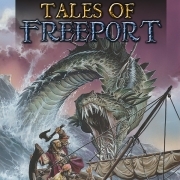 Commuting to work isn’t always easy when you’re a member of the Freedom League and an old foe has returned to Freedom City.